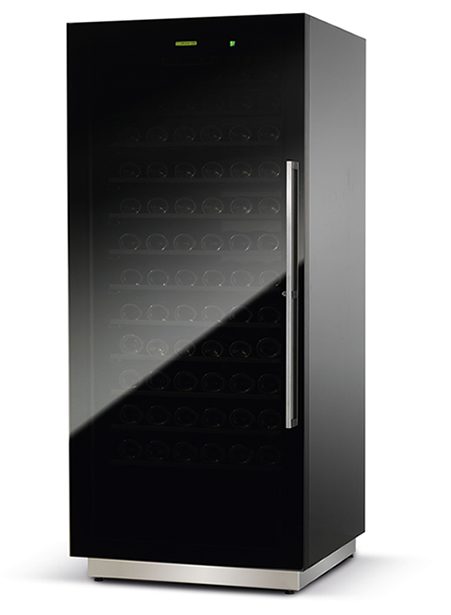 Enofrigo Conservatore wine cabinet is a product designed to innovate wine storage solutions. Why should wine still be stored only in wine cellars or in the basement of restaurants and bars? Besides having all the features of a tip-top wine storage cabinet, Conservatore is also very elegant, like all Enofrigo products. To ensure the perfect environment for wine storage, it is important that bottles are maintained at a steady tempe-rature below 18ºC and that humidity level is held between 50% and 90%, in order to prevent labels from coming off the bottles. It is necessary to protect wine against the energy produced by sunlight and engine vibrations. It is also impor-tant to avoid molds because they can affect wine taste. 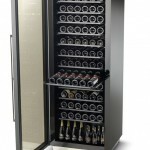 Conservatore is a safe bottle storage solution thanks to the automatic control of temperature: the ideal temperature is maintained even if external temperature falls below 10ºC or rises above 30ºC. Humidity is maintained at a steady average level, which is always above 50%. In case of malfunction, the thermoregulator provides an immediate warning signal. The door is equipped with very attractive UV-protected glass, which protects from harmful sun rays and makes the design of the product even more modern and elegant thanks to a sophisticated light reflection effect. All shacking parts of Conservatore are insulated and fitted with shock absorbers, in order to protect wine bottles from any vibrations. For more demanding customers, Conservatore can be equipped with a practical odour-control carbon filter, however constant ventilation already prevents the developing of dangerous molds. Two finishings are available: glossy black and aluminium grey, which make Conservatore an elegant and up-to-dated product. Thanks to 5 cm thick insulation, in Conservatore wine bottles are stored at a steady temperature between 14°C and 18°C. All moving components are insulated and featured with shock absorbing equipment, in order to prevent vibrations from affecting the bottles and its contain. 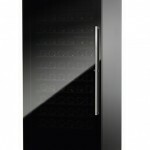 In order to avoid direct exposure of wine bottles to sunlight, Conservatore is equipped with a UV-protected glass door. With its modern design, Conservatore allows to store wine in the dining area. The glass door creates a sophisticated mirror effect and makes the product visually appealing. It is possible to store bottles in elegant pull-out wood drawers or on fixed wood shelves for larger bottle collections. The thermoregulator allows to control constantly product functioning and to be warned immediately in case of malfunction. Improved thermodynamics maintain humidity level above 50%, in order to create the perfect storage environment for bottle corks and labels. 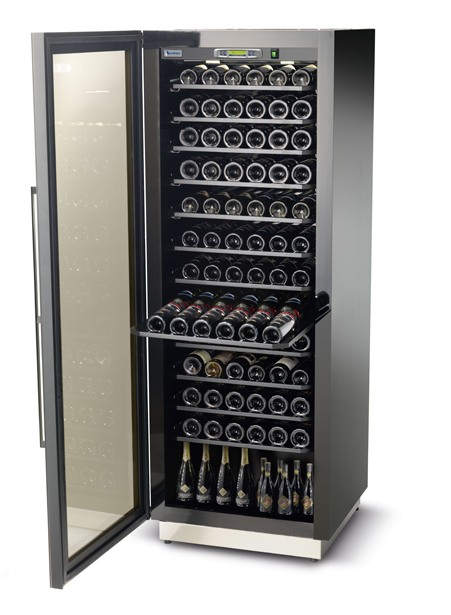 Conservatore is equipped with elegant pull-out wood drawers, which are perfect to store safely most precious bottles. Constant ventilation protects against the growth of mold and other organisms, which may generate bad odours. Energy consumption is low thanks to LED lighting, 5 cm thick insulation, a control system which improves the efficiency of the refrigeration system and the low-emission double-lazing glass door. Wood laminate available in colours: glossy black and aluminium grey. Other colour options are available upon request.